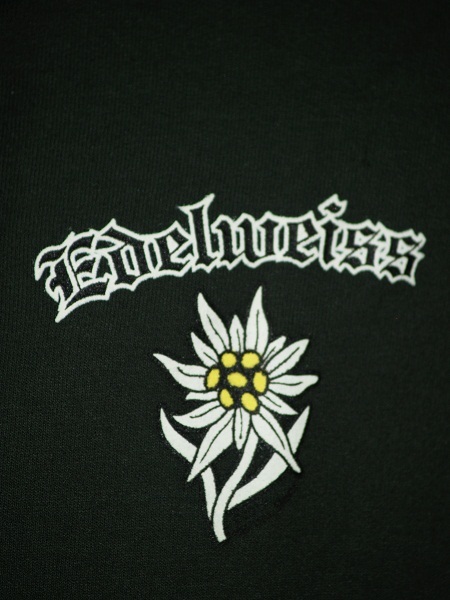 Front: Edelweiss Flower with name. 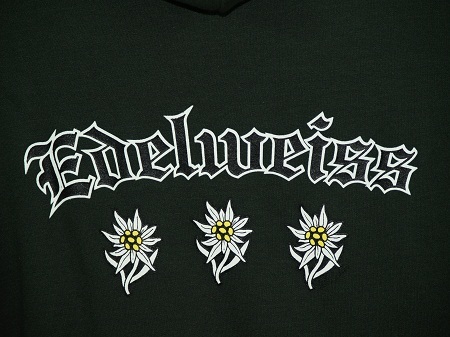 Back: Three smaller Edelweiss Flowers. Heavyweight Hoodie with Draw Strings. 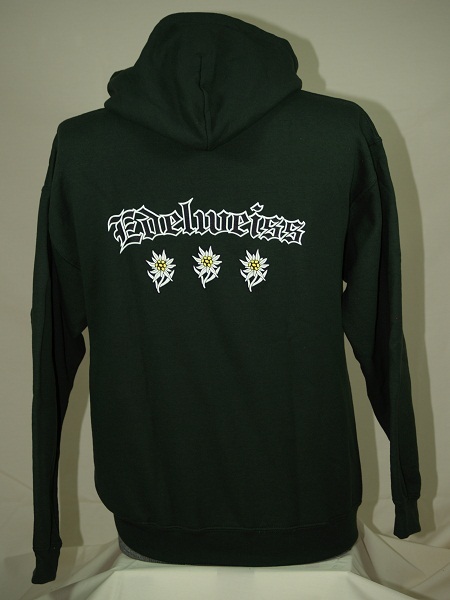 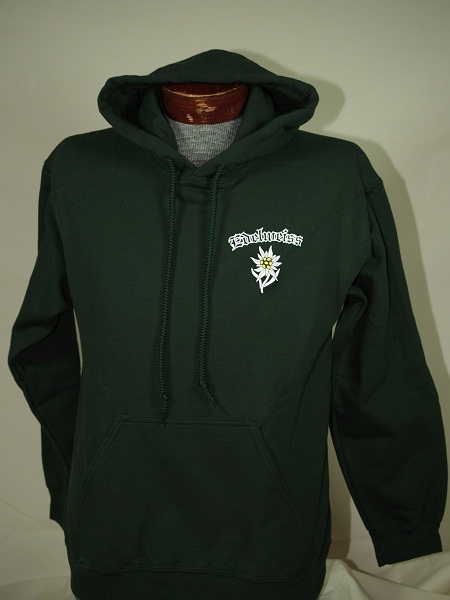 Note, we use the best quality preshrunk hoodies available!